The Balmer Lawn Hotel and Saltus Spa is a lavish four star country house hotel surrounded by the New Forest National Park. Originally built in the mid 1800s as a hunting lodge, the Balmer Lawn Hotel is a classic country house set in an oasis of peace and tranquility where the emphasis is on comfort and supreme service. With excellent road, rail and air links the Balmer Lawn Hotel is an ideal venue to mix business with pleasure. Boasting six conference rooms, all with state of the art facilities including broadband, natural light and most rooms have a private terrace for the all important breakout. Each bedroom is individually designed, many offering breath taking views across the local New Forest cricket pitch and the forest beyond. Everyone needs a break away from the old meeting routine now and then making the affordable Balmer Lawn Hotel an inspired choice. And if that isn't enough the hotel boasts an indoor pool, outdoor pool (summer only), gym, Finnish Sauna, outdoor tennis court, squash court and Saltus Spa treatment rooms. 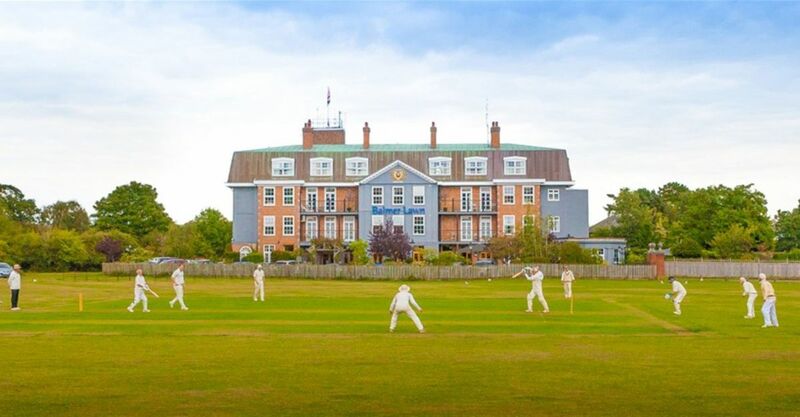 The Balmer Lawn hotel is also ideally located just a short ten minute drive away from the marinas in Lymington, making our corporate sailing regattas and rib treasure hunts the perfect team building activity. If water doesn't float your boat then perhaps our fabulous New Forest Treasure Hunt, multi activity day or use the space at the hotel for indoor and outdoor team events.